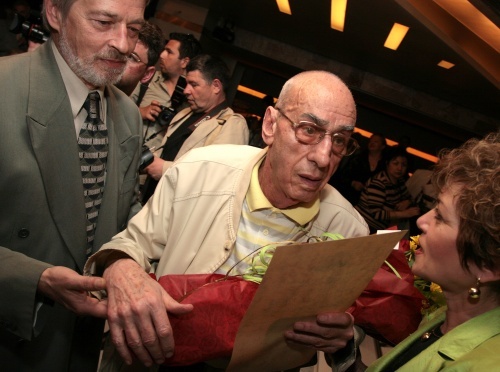 One of the most famous Bulgarian actors and directors, Nikola Rudarov, died Friday at the age of 82. Rudarov was born in the family of Bulgarian refugees from Macedonia. Initially, he started studying law but transferred to study film in his third year of university. Rudarov was not allowed to direct films for 22 years for political reasons because of his brother, singer Georgi Rudarov, who fled to West Germany. Eventually, he directed six movies and played in thirty. His most memorable film role is that of mathematics teacher Baramov in the cult 1980s movie “Vchera” (“Yesterday”). The strict mathematician Baramov scolds the rebellious students at an elite boarding school. “The roles played by Rudarov have remained for eternity in the cultural memory of the Bulgarian nation,” Bulgarian Culture Minister Vezhdi Rashidov has stated in his letter of condolences to Rudarov’s family.